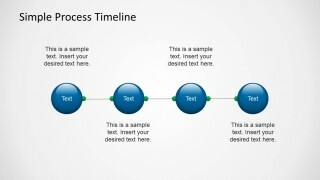 Use the Simple Process Timeline Template for PowerPoint to describe process flows and their milestones. 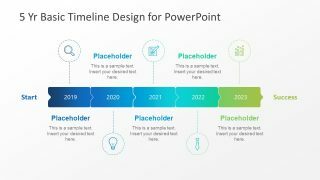 The PowerPoint template contains a simple timeline design that can briefly describe the flow of a particular business project; the text placeholders can describe the milestones and their objective. A timeline is a visual tool that accurately illustrates the sequence of events relative to time. Timelines are convenient for providing a graphical representation of a plan schedule. 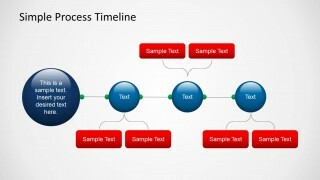 The presenter can point out which steps have been finished and which steps are still under process. In business, determining the most recent events, such as postponed stages and completed phases, is important when making decisions over a project roadmap. 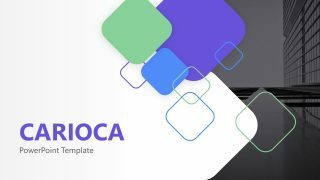 The template provides three timeline design variations. 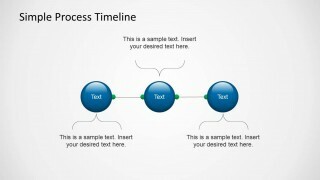 The basic slide format is composed of a set of 3D circular PowerPoint shapes, shown in blue. They are connected by thin horizontal lines with green connector ends. Each circle in the sequence represents an event in time. The circles are accompanied by text placeholders and flat shadow layers. The second variant of the slide substitutes the text placeholders with two red text boxes. A bracket connects the text boxes to the circles. This type of slide is ideal when each event has two corresponding elements. For example, the presenter can include two minor steps that are included in major procedure. The last slide variant uses the same red text box as the second. However, the timeline starts with a large 3D circle in dark blue. The larger circle can indicate the beginning of the process. It can be labeled as “Start” for easy identification. 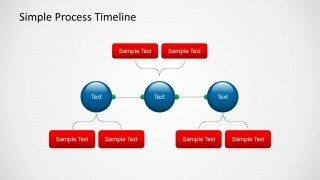 The Simple Process Timeline Template for PowerPoint is ideal for business presentations and progress reports. 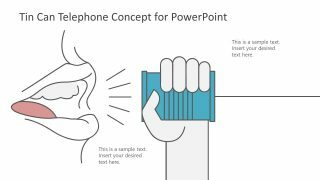 The simple, recognizable format allows the presenter to discuss with ease. 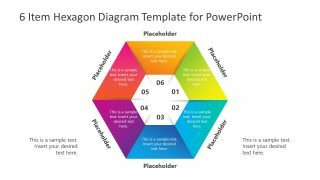 The PowerPoint objects can be resized and rearranged according to the presenter’s specifications. Any modification will not affect the image resolution of the design.